Zombies are in the mood for Breakfast any time. You demanded it- here it is! 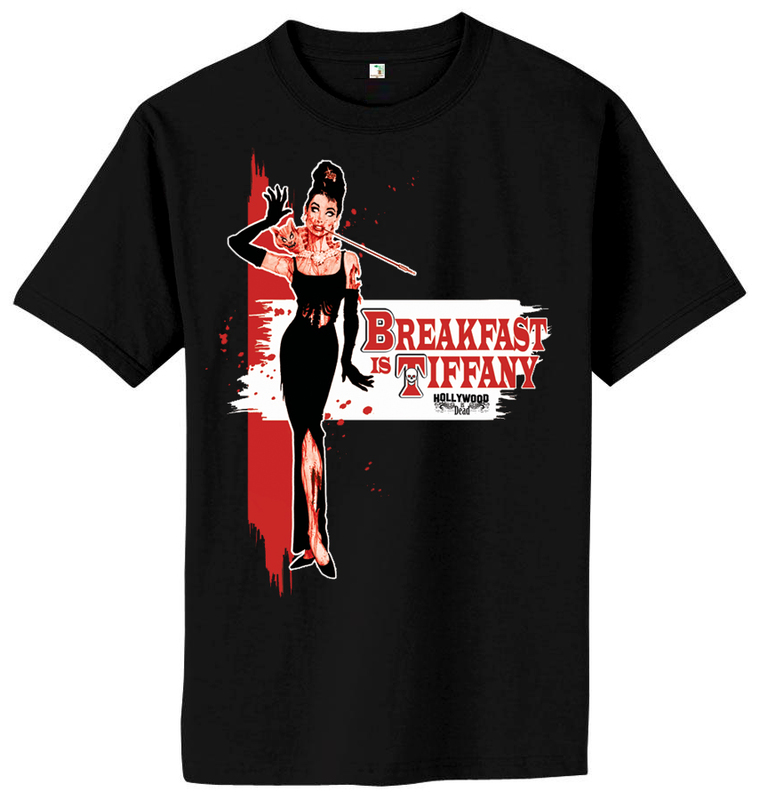 Based on the Hollywood-is-Dead bestselling movie poster, BREAKFAST IS TIFFANY, comes this sweet shirt! 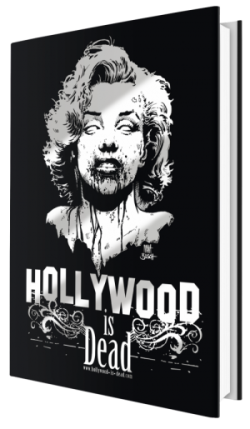 Based on the poster illustrated by Matt Busch, the image is redesigned by Lin Zy, and guaranteed to make walkers moan!